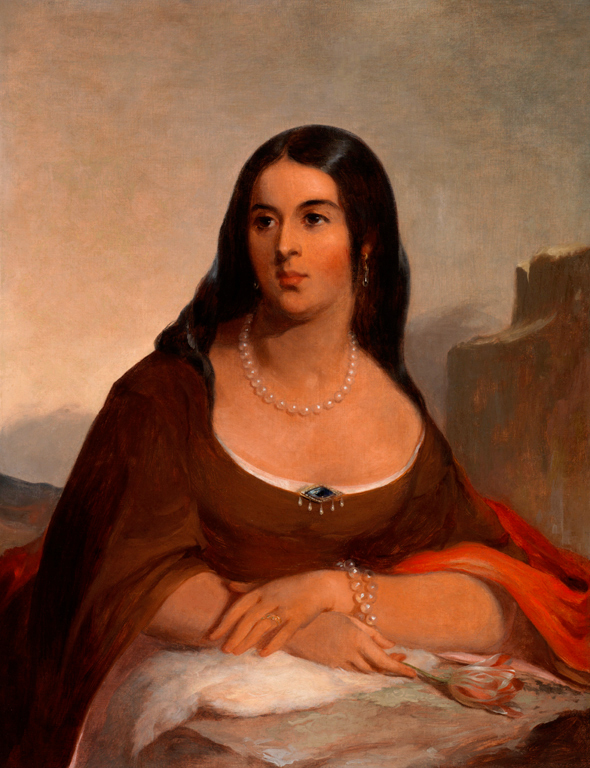 Thomas Sully gives us Pocahontas at what might have been construed as her best moment—after her absorption into English culture and before the fateful trip to England from which she did not return. Pocahontas presents herself as a person of remarkable refinement and grace. Conscious of brewing sectionalism, Sully devised an image that would please Virginians, and he donated this portrait to the Virginia Historical Society, perhaps as a way of winning new patrons in Pocahontas's native state. Learn about Martha (Dandridge) Custis Washington.